Very high level of skid resistance on wet surfaces, featuring a combination of optimised casing deformation, tread and gum mix. 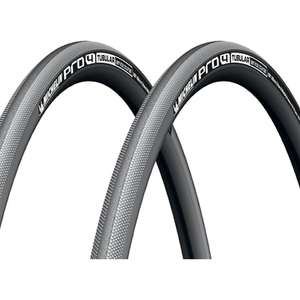 Anti-puncture level of protection: high-density nylon ply. Very high level of adherence on wet surfaces, the combined effect of optimised casing deformation, the tread pattern and the rubber compound. Brought these to replace some continentals. Found them to be very grippy and comfortable . Both good attributes in a tyre. However they go totally flat in about 3-4 days . I reckon they loose about 1 psi an hour . my recommendation is to check them before every ride. Have not used these as yet so I can't tell how they will ride or wear. Having said that, they look and feel like a quality tub. I've streched them on a spare wheel. To get them on was a lot easier than Conti's. 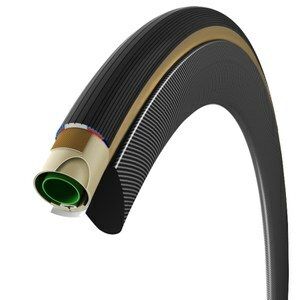 In my experience a 25mm tub is not the same as a 25mm Conti GP4000s clincher. They are more like 24mm. This is the same as other tub brands like Conti and Vittoria. Quck response from the Customer Service, helpful tracking information, cheap price, I am so pleased with the purchase experience. Thanks. Excellent tubular tire and value. Bought second set of these, love the ride of the 25 Pro 4 vs previous 23 Bontragers. A very good value.